Yes, you read right: This album is titled Salad Days. 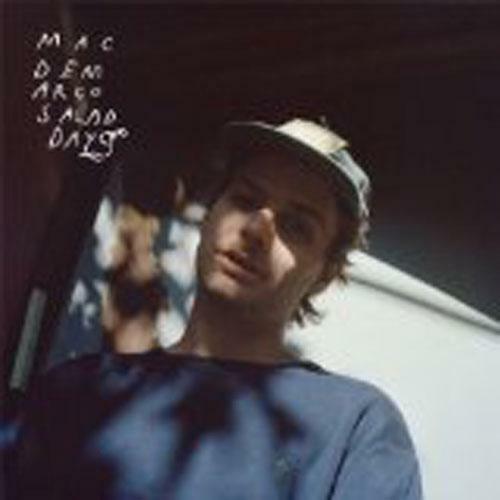 With a title like Salad Days, it's not too surprising to discover just a few songs into the album that Mac DeMarco isn't afraid to get a little weird. The 23-year-old musician likely wouldn't be bothered by the perceptions of outsiders, however, as DeMarco is more interested in having a good time. But he does seem to have some worries of his own. Salad Days kicks off with a loose guitar hook that underscores DeMarco's sleepily enunciated concerns about getting older. The album has the feel of a daydream, with DeMarco playing the part of the slacker that doesn't want to be too concerned with anything. The results make for an at-times sloppy album, although that is part of the appeal of the man formerly known Vernor Winfield McBriare Smith IV, as DeMarco embraces his slacker status. DeMarco's committal to being chill may turn off some listeners, but his fans will find Salad Days rather appetizing.